Nigeria wasn’t supposed to happen. My eight-country Africa jaunt was going to start in South Africa and end in Kenya, with the six countries along the way nowhere near Nigeria. I’d had this trip planned for ten months, and everything was set. 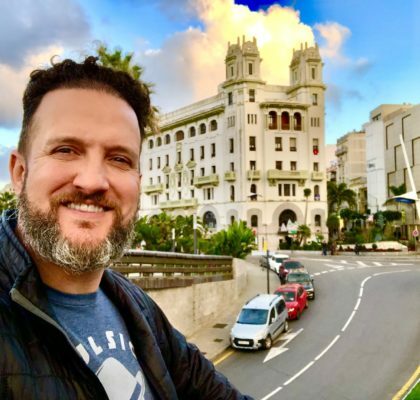 It was only about three weeks before the big journey that I realized a work trip to Morocco was spaced only one day out from this big Africa trip. I was in trouble: I was to land back home in San Diego on a Monday at 9:25AM, only to leave the very next afternoon at 3PM for South Africa. That made no sense, and I doubt my body could handle two cross-continent flights one day after another. The answer was to simply stay in Africa. That same day of my travel-epiphany, I hurriedly jumped online to race and book new tickets. 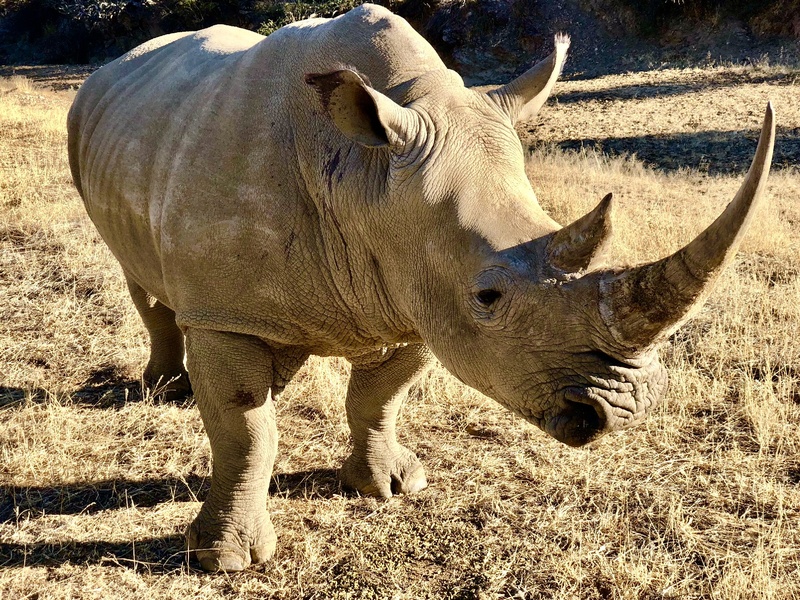 I now needed to book a flight from Morocco to South Africa, where I’d begin my vacation, and there wasn’t a second to spare. 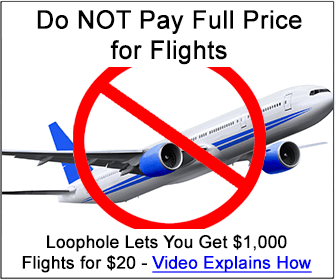 You’re lookin’ at a guy who books his airfare as far out as possible. In fact, I usually plan my trips so far out in advance that seats aren’t even yet available to purchase, and I find myself buying the ticket the very same day that the flights open up, visiting the airline’s website each day to see if my travel dates have appeared. The fact that I’d leave in less than three weeks and didn’t yet have air travel sorted sent me into a panic. You’d think there’d be a nonstop between major hubs like Casablanca and Johannesburg, but no dice; and when I typed in the airports on Google flights, most of the results had me connecting through Europe and that was just not efficient at all. I finally found a combo that not only worked, but would let me cross off an additional two countries on this trip, so I booked it! Casablanca, Morocco to Lagos, Nigeria on Royal Air Maroc; and then Lagos to Johannesburg with a night’s stopover in Windhoek, Namibia. This was perfect! Almost. After the airfare was booked, I jumped online right away to order a visa for Nigeria; I knew I needed one even before I booked the ticket. But there was a problem: the Nigerian consulate in New York listed a minimum of ten business days to process a tourist visa, and as I looked at the calendar, there were only twelve business days before my departure. And not getting the visa in time wouldn’t be the biggest issue; the major problem was my passport—I’d have to send it to New York, and imagine not getting it back in time for my departure: I’d have ruined a trip of eleven countries trying to get a visa for just one extra (Nigeria). I was stuck between a rock and a hard place. 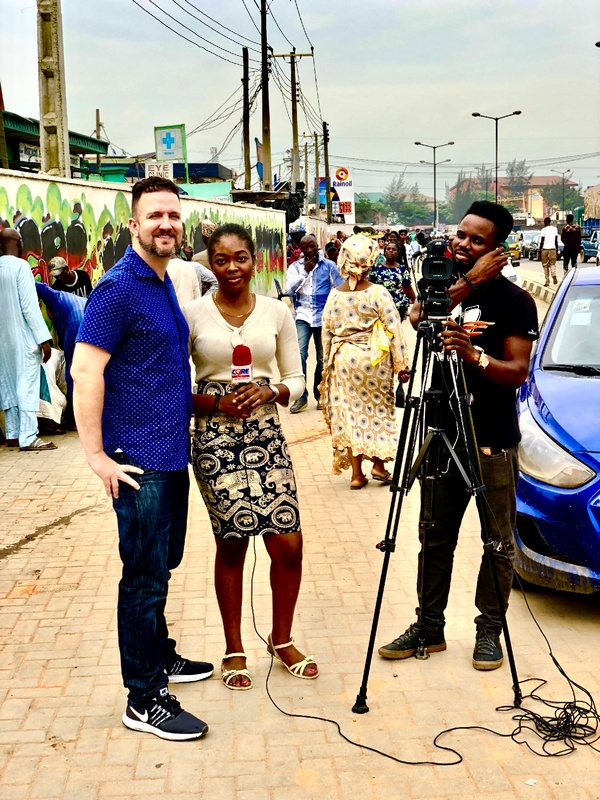 RAMBLIN’ TIP: If you don’t care to hear about the entire visa process for Nigeria, you can skip ahead by scrolling down to the VISA picture (six photos down). However, if you’re planning on a last minute trip to Nigeria, or have ever had challenges securing visas, the next few paragraphs below may help! Luckily, I’d recently applied for a second passport, and it would come in handy pretty quickly. I’d keep my new passport, which had all my new visas for this forthcoming trip (Mozambique, Somaliland and Djibouti), and send in my older passport (both passports were valid); and if it didn’t make it back to me in time for my trip, no big whoop, I’d still have my second passport in hand, complete with the visas I needed. Solid! But dammit, there was another problem. The Nigerian embassy required at least one blank page in your passport, and wouldn’t you know it, I had no full blank pages left, except for one—and that one had some type on it. It wasn’t much, but I worried it was just enough to be rejected for the visa. Nonetheless, I was going to go for it anyway, as I saw no other viable option. My “kinda” blank passport page. I was hoping this would pass. However, soon my fears were realized, as the visa service I was using called me to inform me that the Nigerian embassy wouldn’t accept the passport, and all my documents were sent back. $180 down the drain. Crap. 101 countries, and this was my first visa faux paux. I’d be flying into a country I didn’t have a visa for, and wouldn’t be able to leave the airport. What an amateur move! The bright side was that I could truly be a “transit” passenger, as my ground-time in Lagos was only 20 hours. My flight arrived at 3AM and would leave at 11PM. So although I wouldn’t be able to officially “count” this one as a true visit to Nigeria (airport transits don’t count as visiting a country in my rule book), I wouldn’t have to cancel my ticket—I’d just be kicking it in the airport for 20 hours. 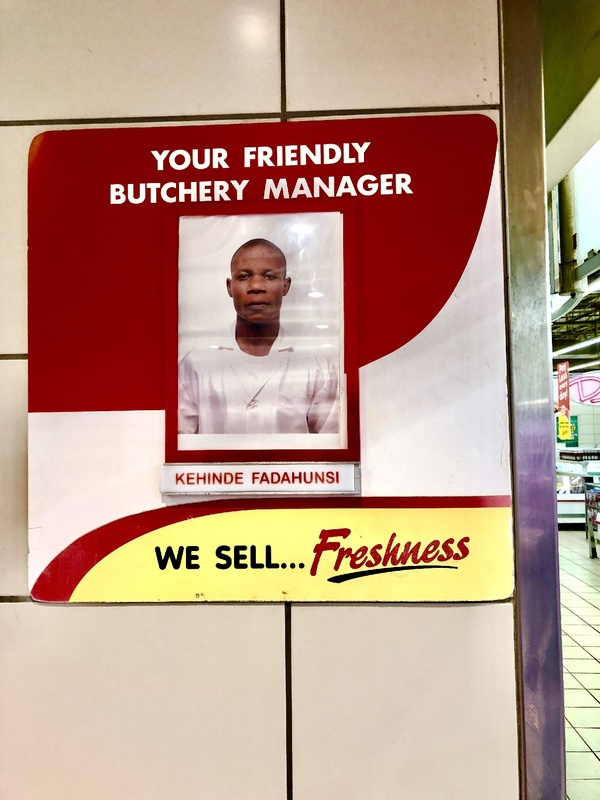 Not ideal, but I had no choice, since both my Casablanca–Lagos and Lagos–Windhoek–Johannesburg flights and hotels were already booked and paid for. I’d be spending a day in Nigeria whether I left the airport or not. 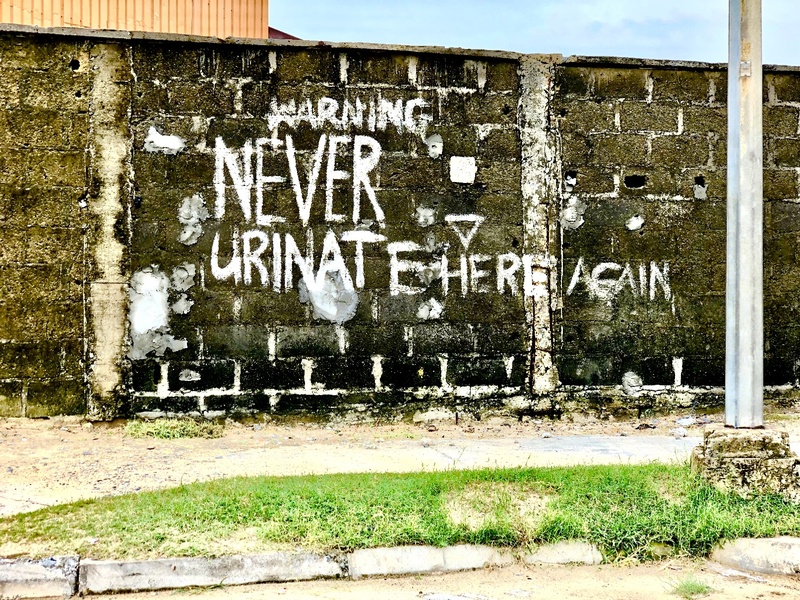 So then of course my next step was to research the Lagos airport to see how my entire day would be like there, and my intel was anything but reassuring. 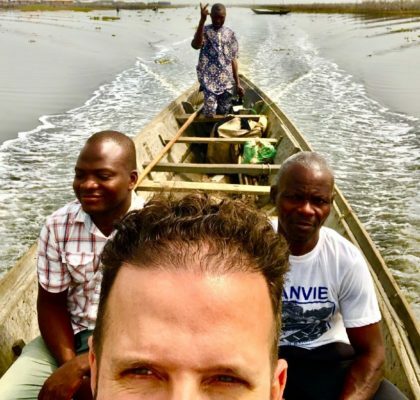 Many of the expert travel blogs cited problems with using Lagos as a “transit airport” sans-visa noting all sorts of issues from the airport not having an international transit terminal and problems even changing planes without a transit visa, to having to bribe officials with cash to just make the connection happen. 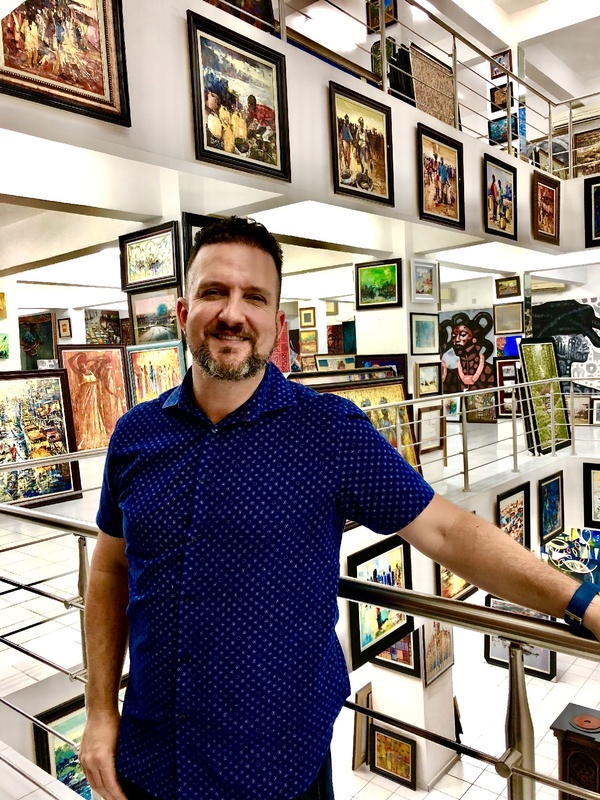 One blogger even talked about the nightmare of being stuck in a little room in the Lagos Airport for an entire day! And yet still there was the possibility of me being denied even boarding to Lagos entirely due to not holding a visa. I found myself once again pondering why oh why these already unattractive (to tourists) countries make it so difficult to visit! It was going to kill me actually being “in” Nigeria for almost a full day and not being able to leave the airport—that is, if I’d even be able to get to the airport. Either way, it was going to be a bad ending, and I was stressed out about it. Finally, a last-ditch option. 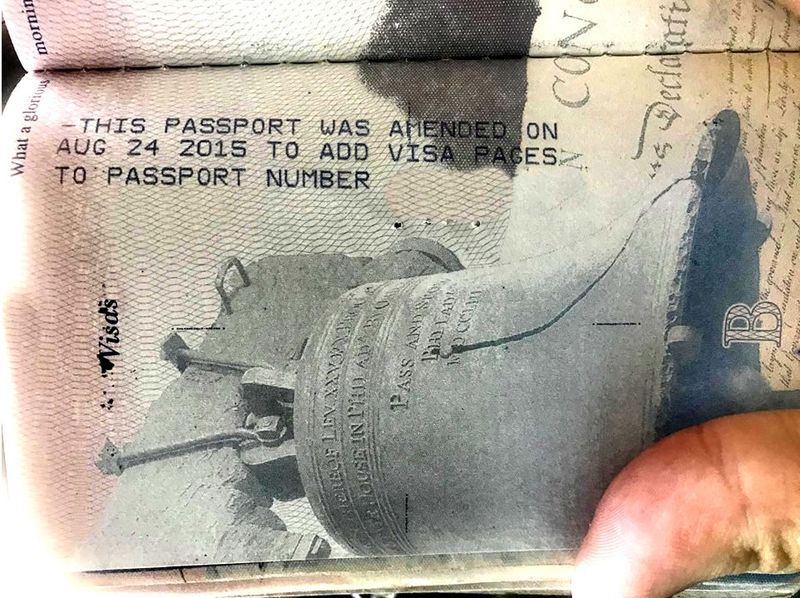 I’d already checked in to visa on arrival, and that, like everything else that seemed to be connected with visiting Nigeria, looked next to impossible. The visa on arrival was technically possible—but not likely. Before you could even apply online, you needed a special pre-approval letter from the “General Comptroller of Immigration,” and the even then, the prerequisites included being a high net worth investor and some other crazy qualifications, none of which I had. Nigeria’s prerequisites for applying for visa on arrival…I didn’t see “silly travel blogger” listed! Still determined, I gave it another go; this time assembling all the documents I’d need to send “The Comptroller,” including a letter stating why I needed a visa, an official invitation, and all the other stuff I’d sent in the first time. Maybe I was a “Frequently Traveled Business Person of International Repute,” how would he know any better??? When all of my stuff was prepared and scanned to email the “comptroller,” I attached the file, along with a short introduction note, and pushed “send” on the email. I got an email back rather quickly. Too quickly, actually; it was a failure message. The Comptroller’s email was full and the message was rejected. Unbelievable! The travel gods did not want me to go to Nigeria this time. But I never give up. Ever. 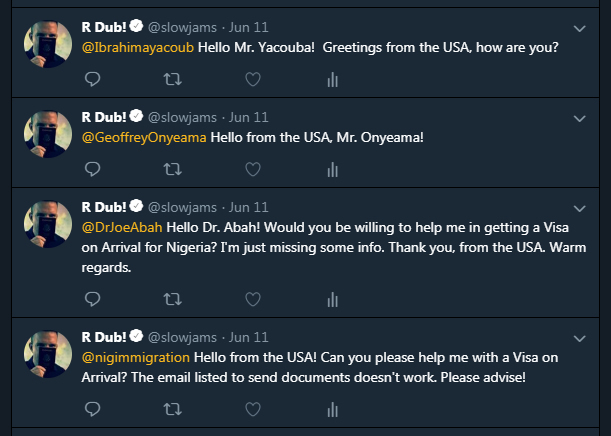 I searched for the Comptroller General online, and when I couldn’t find his contact info, I tracked down other officials that worked for Nigerian immigration, and sent them Tweets and emails. No response. I finally resigned myself to bribery. In any other city, you’d get thrown in jail for trying to bribe an official, but everything I read about the Lagos airport told me that “gifts” are just everyday business there, and that many times they’re actually necessary, even when you do have the proper paperwork. I read that not only were bribes “accepted” at the airport, but they were more a way of life there, a necessary evil built into the structure of everyday operations. I figured if I’d ever need to bribe my way into or out of a country, I’d have at least a shot here. So I planned on entering with all my documents in hand, including my original application and confirmation of submission from the Nigerian immigration website, and then just play stupid—with a wad of cash up my sleeve to slip the officer(s). At least I’d have a story. But alas, after one last Google search looking for Nigerian Immigration contacts, I came across an entry for a Nigerian Immigration attorney. A-Ha! I could try this avenue. Surely Nigerian immigration attorneys would have access to the right people on the inside for this special letter I needed, right? So I emailed the couple lawyers that Google found and received responses almost immediately. Colin Egemonye from the law firm Goldsmiths LLP told me that what I was trying to do was absolutely possible, and he could 95% guarantee me that I’d be approved, and quickly. But my payment method to Mr. Egemonye was a little unusual. To avoid the costly money transfer fees, Mr. Egemonye actually had me contact his cousin in Arkansas, who I’d send $300 to via Paypal to pay for the legal services. Sure, that was a little unorthodox—okay, maybe down right weird—but my back was against the wall. Thankfully, I could afford to lose $300 and it was totally worth even a shot at being able to see Nigeria. The Goldsmiths website seemed legit, and cousin Eazy in Ft. Smith, Arkansas was a business owner too, and seemed to have his stuff together. It’s not like I was wiring a Nigerian Prince thousands of dollars to secure an inheritance. Well maybe it was kind of like that. 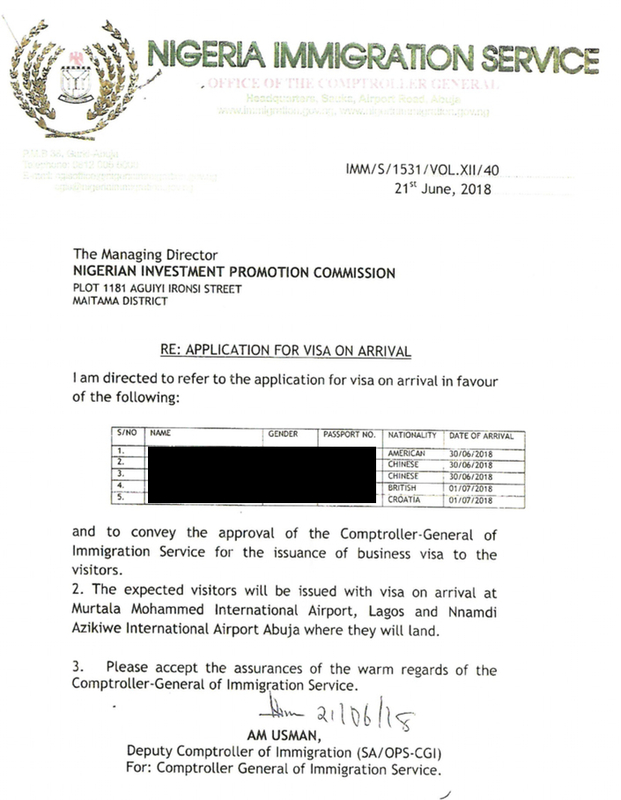 The mythical “pre-approval letter” needed just to apply for visa on arrival! I spent an amazing four nights in Morocco for my work, and headed to Lagos on a 10:55PM flight on Royal Maroc, from Casablanca. I arrived at the Casablanca airport in plenty of time—enough time to get some work done and eat desserts in the lounge like the fatty I am, before heading to my gate—but almost missed my flight to Lagos altogether due to another absolutely amateur and bonehead move. I kind of waited til the last minute to leave the comfy lounge and head to my gate, wrapping up an important assignment I had to send off for work. When I finally arrived at the gate, the whole plane was already lined up at the door, in stanchioned-off lines labeled A, B, and C for boarding groups. I had C, so found the appropriate line and waited my turn. The line didn’t even move for about twenty minutes, and when I’d finally made it to the agent taking tickets, I came to the shocking realization that I was in the line for the flight to Bamako, Mali. All of the Lagos passengers had already boarded through the gate right next door, just a few feet away. I panicked as I ran over to the correct door, thankfully making it through the jetway and onto the plane as the very last passenger (yeah, I was that guy), with just minutes to spare. How I would have absolutely hated myself for missing the only flight to Nigeria, after going through all that trouble, just because this numb-skull got in the wrong line! Must have been travel-karma for all the times I’ve made fun of people who have trouble finding their numbered seat. This was a nice reminder that I’m no better! The red-eye flight in coach was bearable since there was no one in the middle seat and we arrived to Murtala Muhammed International Airport in Lagos, on time, a little before 3AM. I felt a little anxious arriving into a country like Nigeria at such a late hour, but then again, I’d probably be able to escape the chaos of a jam-packed African airport—the kind of madhouse that you’d walk into at any of the continent’s major airports during a busier time of day. 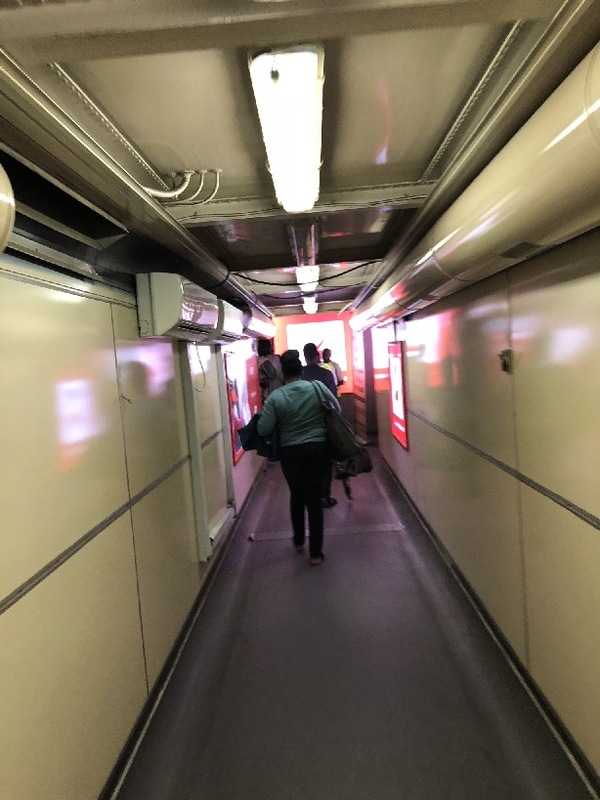 I walked out of the plane and down a jet bridge that looked like it was from 1940. The first stop was the health officer asking to see my yellow card; thank God I brought that. Next, right before the main immigration queues, was a sign pointing to an office for “Visa on Arrival passengers.” That was me. This jet bridge was old school! The 20×20 room had 11 airport style waiting chairs, two big wooden desks where two immigration officers sat behind, and two of the four walls were glass that faced out into the main immigration area and baggage claim. Later I realized that lying between the two rows of seats was a sleeping mat and pillow. I’m sure that was there for passengers who hadn’t been able to get the visa on arrival pre-approval letter; they’d nap until the next flight home. I hoped I wouldn’t be sleeping on that mat this morning. There was only one other passenger in the room when I arrived. If I had to guess I’d say he was from Bangladesh or India. Maybe even Myanmar. Normally, I’d make small talk and ask, but I was afraid to say anything out of turn: as if I was in the principal’s office and anything other than being perfectly quiet and still would get me in even more trouble that I was already in. After a couple of minutes I was motioned for my documents. I don’t think even one word was said, just hand and facial gestures. I handed over my pre-approval letter and the man behind the desk got to work on his keyboard while four other white visitors entered the room, presumably for their visas. I watched the World Cup on the wall-mounted TV for a few minutes until the man at the desk asked me for my payment. At least that’s what I thought he asked for; I really had a hard time understanding him, but I showed him my stack of documents and he took the top sheet—my online payment confirmation receipt. Then, what happened next was the strangest thing. He didn’t “say” anything, but made a sound and a face that would be best described as a “Shame on you,” or “Who do you think you are?” expression. It’s so hard to explain, but maybe a look of disgust or disdain? Either way it scared me. I was like,”Uh oh, what did I do?” I couldn’t even begin to guess why in the world I got that look (and “phhssstttt” sound) for…maybe because I paid online? Maybe he would have been happier if I’d brought cash to pay him (so he could take a cut)? I may be a jerk for thinking that, but I’d read so much about corruption in the airport, it was the only plausible explanation. Why did I get that look??? Thankfully, a few minutes later I was handed my passport with my Nigerian visa and instructed to proceed to the immigration checkpoint to be stamped in. What a relief! Victory!!! 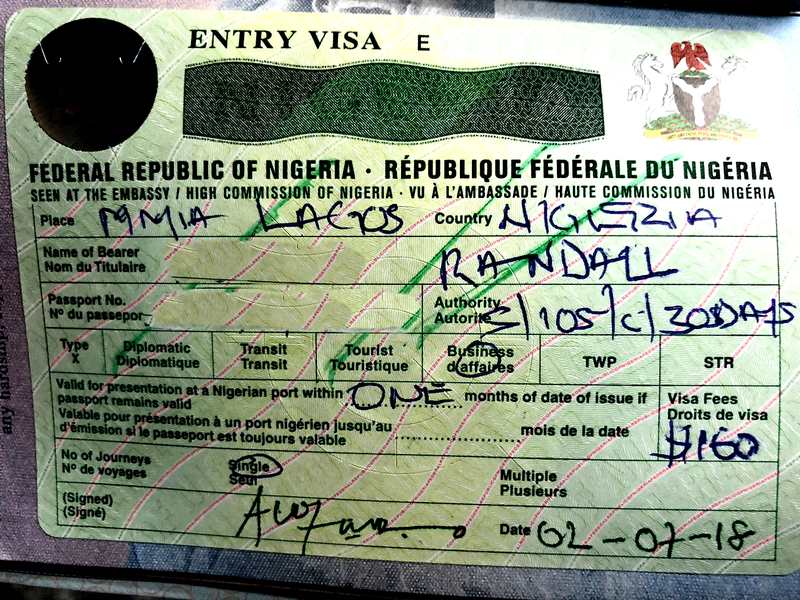 My Nigerian visa, in all its glory! By now there was no one else in line at the immigration desk, so I was able to walk right up to the stand where my documents were inspected and was stamped in. The lady seemed impressed that I was a radio DJ (I had to declare my occupation on the entry form) and she asked about my job and Donald Trump before welcoming me to Nigeria with a smile. Whew, I’d made it! But I wouldn’t be relieved until I secured a safe ride to my hotel. Upon entering the arrival hall a woman in uniform approached me and asked if I needed a taxi. We agreed on the price as she walked me outside of the terminal and down the sidewalk. It was super dark and eerily quiet for an airport, even at 4AM. I was relieved when I was finally inside a black Toyota and rolling, though I wondered again what’s the deal with foreign taxis never having seat belts in the back. The road leading out of the airport was dark as death and full of giant potholes. I could be killed right here in this car and dumped on the side of the road and no one would know until daylight. But we soon got to better pavement, with street lights and everything, as the cabbie commenced with some small talk that made me feel at ease, tossing out random city facts, including the fact we were now driving on Africa’s longest bridge. We passed a cow that had managed to meander on to the bridge. 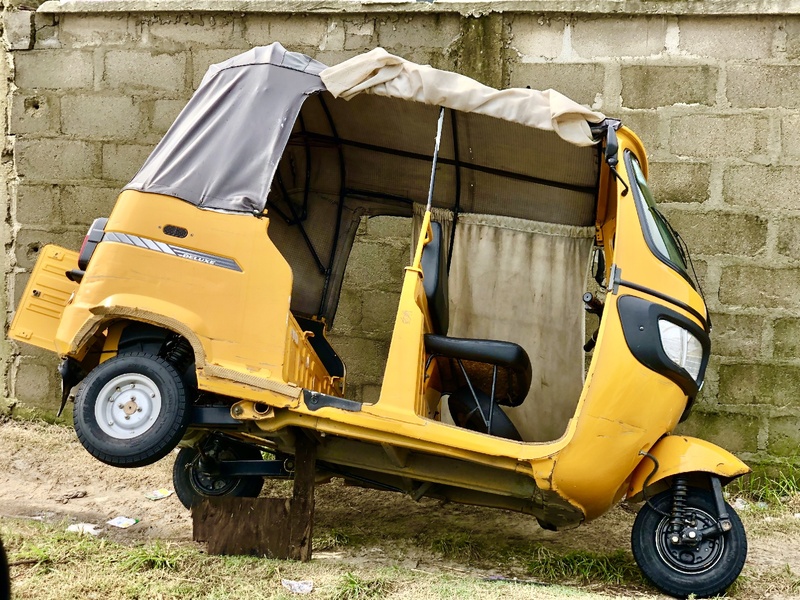 The driver admitted that if it were just a few hours later, we’d be standing still and wouldn’t reach my hotel for hours–Lagos is one of the worst cities in the entire world for traffic. Luckily it was still before dawn and we pretty much had the road to ourselves, though the journey to my hotel on Victoria Island seemed like forever. I let out a final sigh of relief as we passed through the gates of The Four Points by Sheraton. I grabbed my room key and went straight to bed for about 4 and a half hours sleep. I’d awake at 10AM to meet my tour guide for the day. No time to waste! 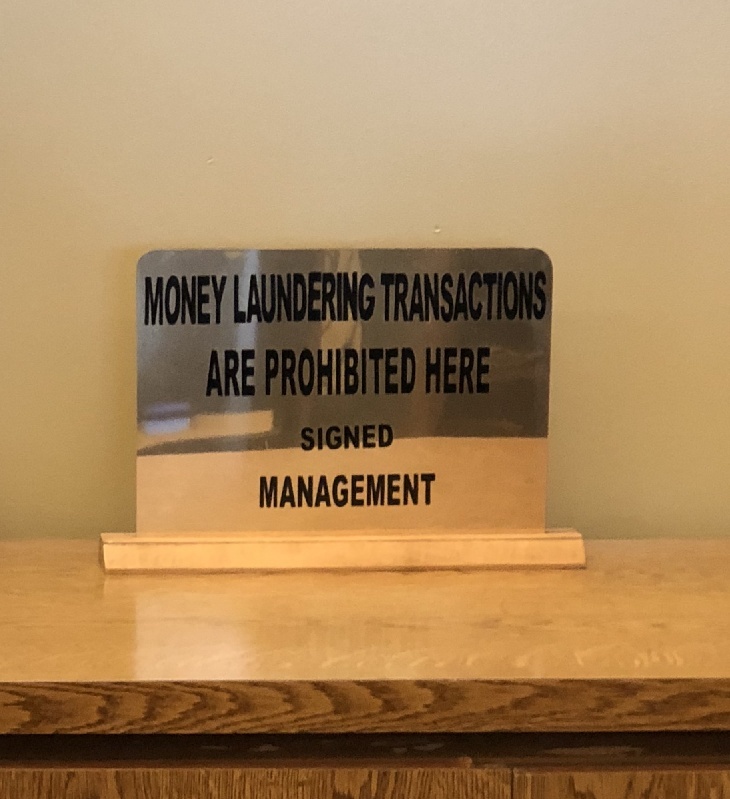 This sign sat behind the front desk at my hotel. Gbade went by the English name Phillip, had dark skin, a beard and was very pleasant and laid back. I’m not really sure if Phillip was actually an official tour guide but I was connected to him through my guide from The Ivory Coast. 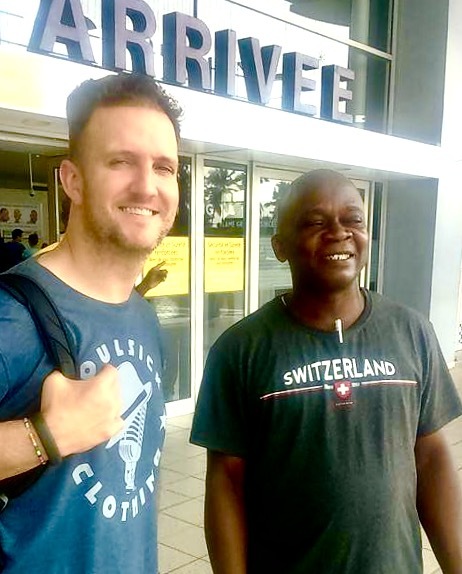 I’d spent a day touring Abidjan with local Dayo Williams in December of 2016, and he insisted that I let him know when I was going to Nigeria so he could hook me up with his family there. 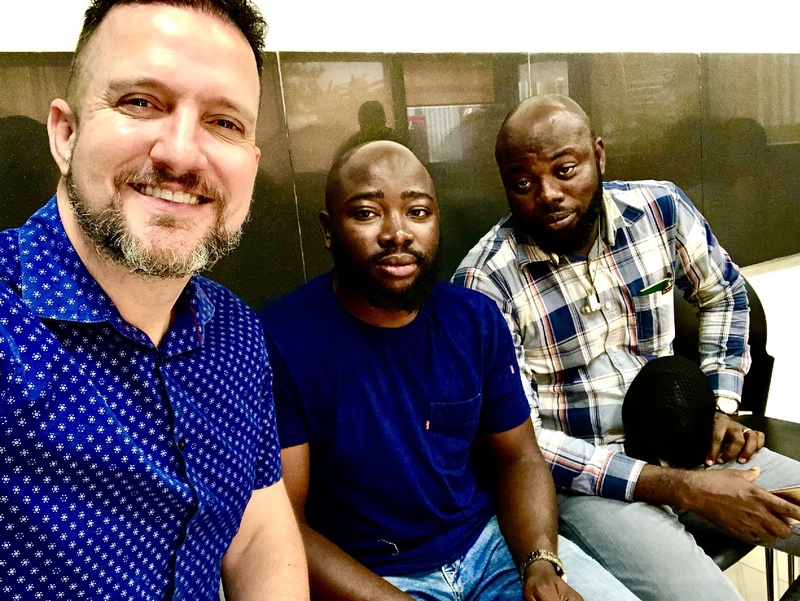 Dayo turned out to be a great contact to know, not just because he connected me with his nephew Phillip, but he also helped with my invitation letter that was needed to apply for my visa. He was there for me when I was frantically trying to get everything together for my application and went to work right away. The whole thing just worked out…thank you Dayo! Me, driver Bunmi and Phillip. A hearty thank you to Dayo Williams, who made Ivory Coast AND Nigeria possible! (Photo from 2016, Ivory Coast). I had a couple stops to make before we left Victoria Island. First, I was invited to pop in and see my new favorite Nigerian lawyer, Mr. Egemonye. His offices were just down the street from my hotel, so we stopped there first. Egemonye and his whole office seemed very happy to have me. They invited me into the conference room for a chat, we took selfies, and they even gifted me a new notebook with their logo on it. I know stopping by random law offices when you visit a town may not me normal for most, but then again, I’m not normal. 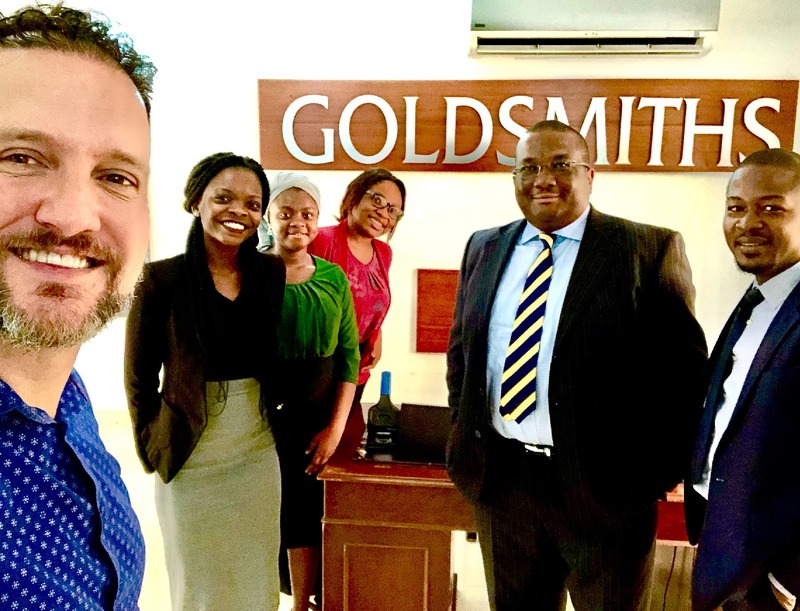 I was happy to meet the team at Goldsmith’s LLP and one of the associates, Rosemary, is even now my friend on Instagram! Nice peeps. The man, the myth, the legend: Colin Egemonye and his crew at Goldsmiths. Next, it was over to COOL FM, a radio station in Nigeria that I’ve actually done business with. 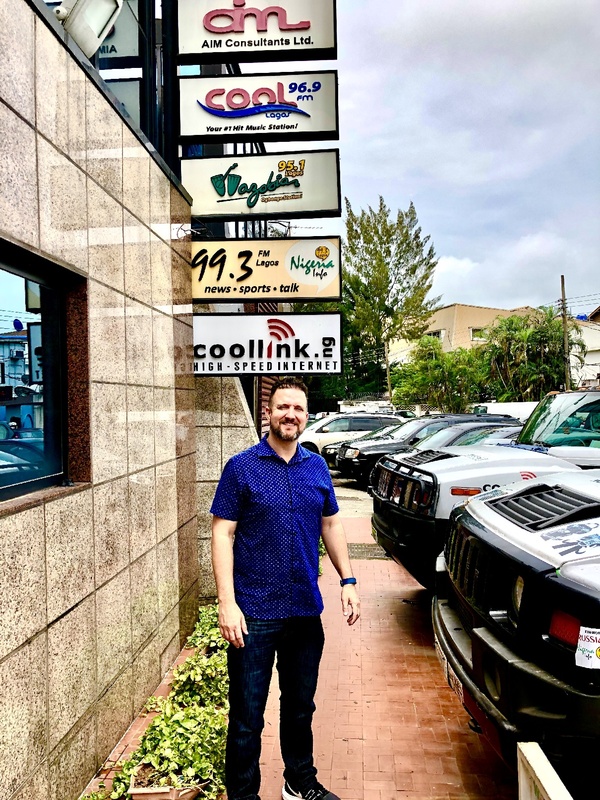 They aired my radio show for a few months back in 2017. I don’t think they ever ended up officially subscribing (paying) for the show after their trial was up, but nonetheless I had a contact there who knew I was coming and she invited me to stop in. Sadly I never made it past security. No one I spoke to at the station had ever heard of my contact there, nor were they particularly anxious to invite a foreigner in and show him around. (This was the opposite of the warm reception I received days later in Lesotho.) After waiting around for about 15 minutes, one of the gentlemen there finally attended to me and explained, “We just can’t let strangers into the building for no reason.” Phillip went on to explain the reason: “that I was an American radio DJ hoping to see the studio and take a picture with someone,” but unfortunately that got us nowhere. Security seemed tighter than a federal building, but I don’t know the full story behind the tight scrutiny, so I chalked it up as “just the way things are here” and we left. We had a lot to see in a short amount of time. Fun fact: I’m proud to say I work at a radio station where we love to give tours. Had someone walked in and asked for a tour–especially a fellow radio colleague from abroad–we would have rolled out the red carpet. We actually get requests often, and receive people with open arms. I do understand that cities like Lagos have security concerns, so I didn’t take it personally nor harbor any hard feelings. ACCESS DENIED: At least I got to take a picture in front of the sign! 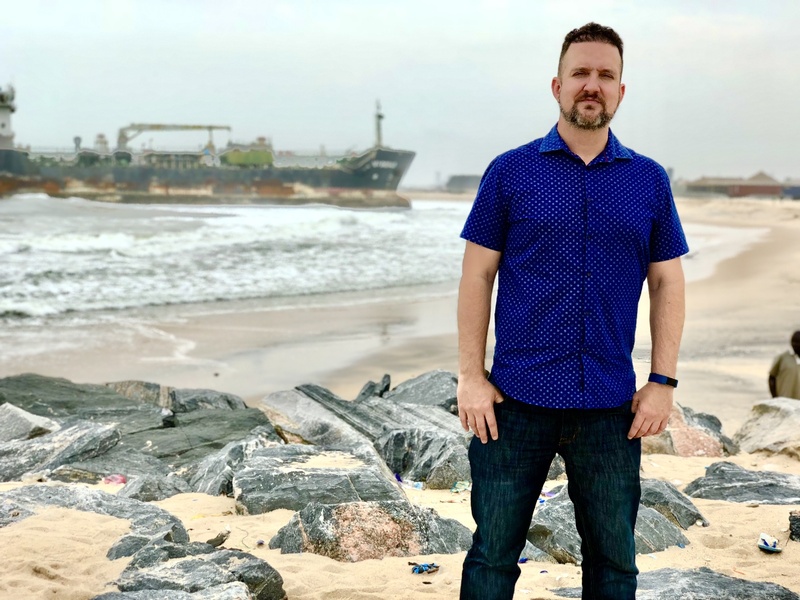 My day exploring Lagos with Phillip was fruitful and fun. Throughout the afternoon we stopped for pictures at a few Lagos monuments, constructed in the middle of busy traffic roundabouts. One was a giant cube constructed of recycled materials and displaying the word “LOVE.” Another was a giant foot. The third was a man with his hands in the air. I’m not a mega-fan of monuments, but each one of these had a story, and Phillip seemed proud to show me each one of them. 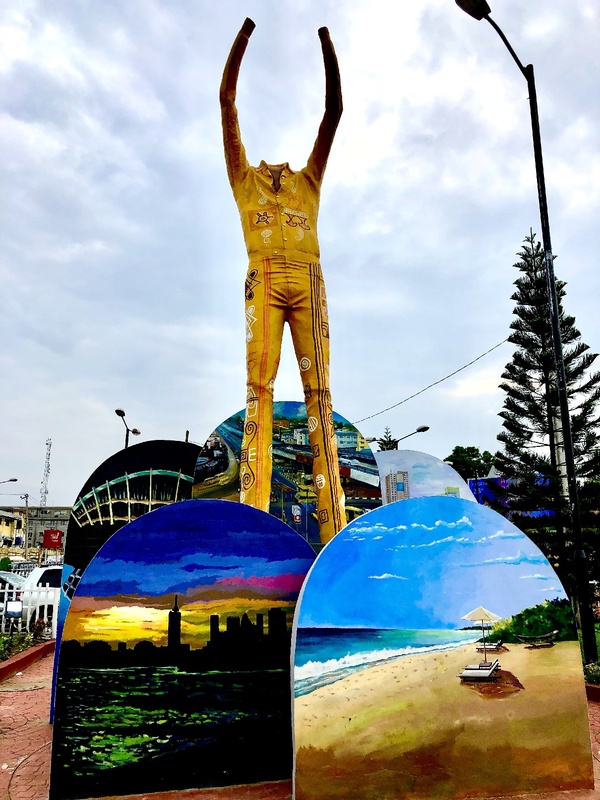 “Liberation Statue,” honoring Nigerian musician Fela Anikulapo Kuti is located at Allen Roundabout in Ikeja. 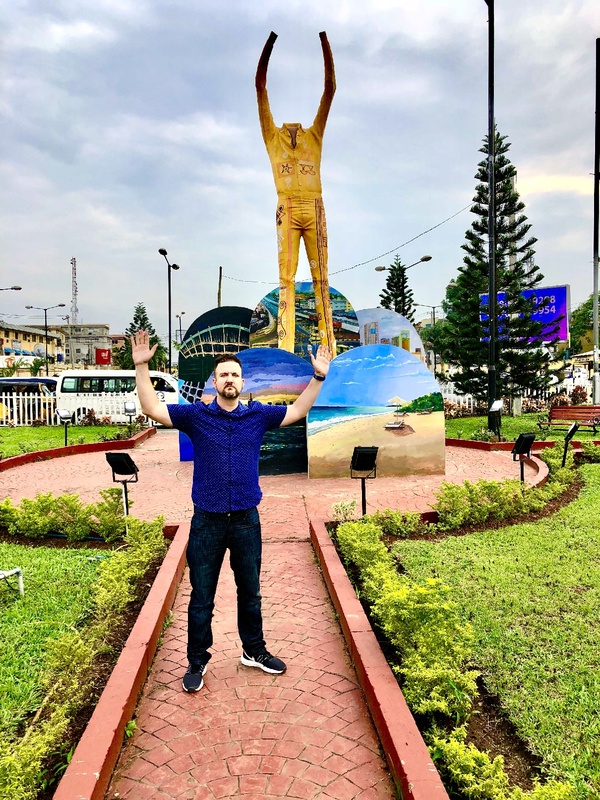 The unveiling of the Liberation Statue was part of activities marking Fela’s 79th posthumous birthday and the 20th anniversary of his demise. “Cause I’m the type of brotha that was built to last…” This “foot” statue was erected to encourage youths to put their best foot forward and to know that every journey to success starts with a step. 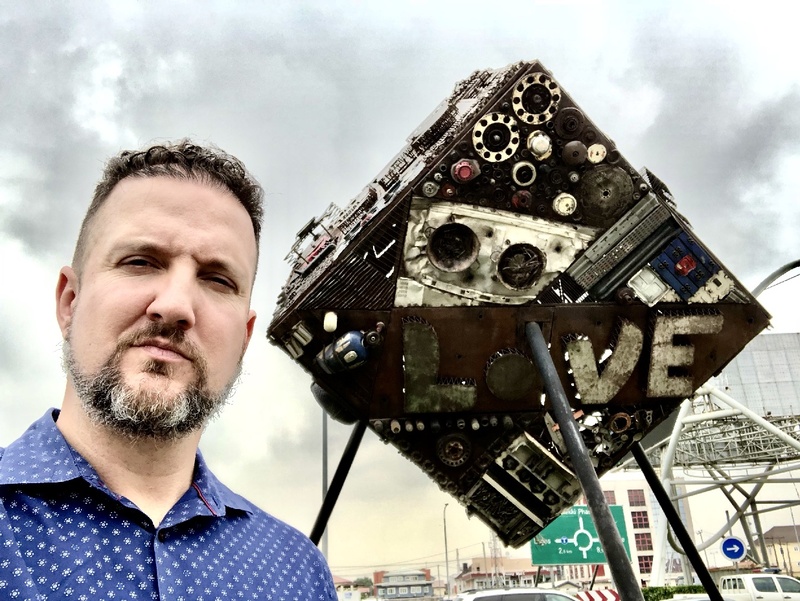 This cool cube-monument is made of all recycled junk. 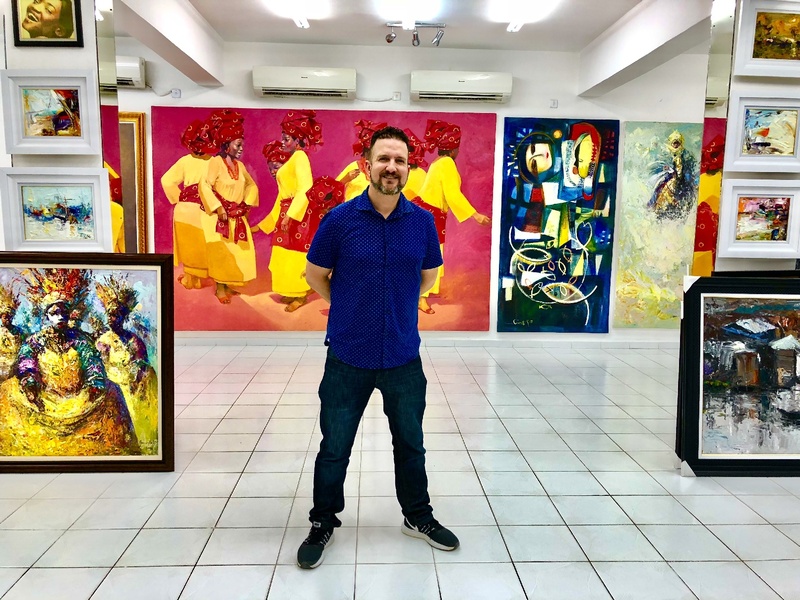 Candidly, an art gallery is probably the last place I’d want to visit in any country, be it Paris or Nigeria; so when Phillip parked at the Nike Gallery, I wasn’t too excited. I’m pleased to say that I actually enjoyed this gallery immensely, and took great pleasure in the style of art on the walls inside this four-story house of works. 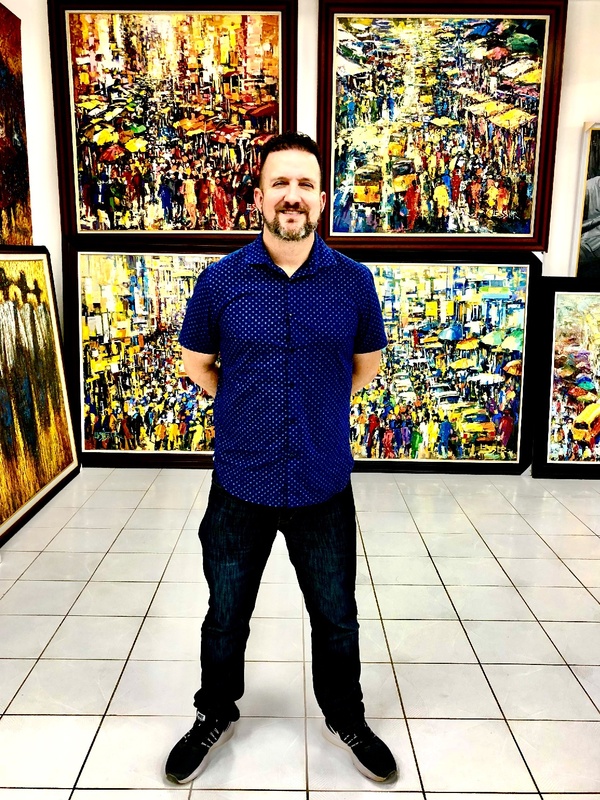 My favorite pieces were the paintings of streets, markets and buses of Lagos—these weren’t boring abstract pieces, rather paintings of real life—paintings of the things I love to see while traveling throughout Africa: the hustle and bustle of everyday life in motion. On the floor was one sculpture of a giant cake that had been eaten by ants. 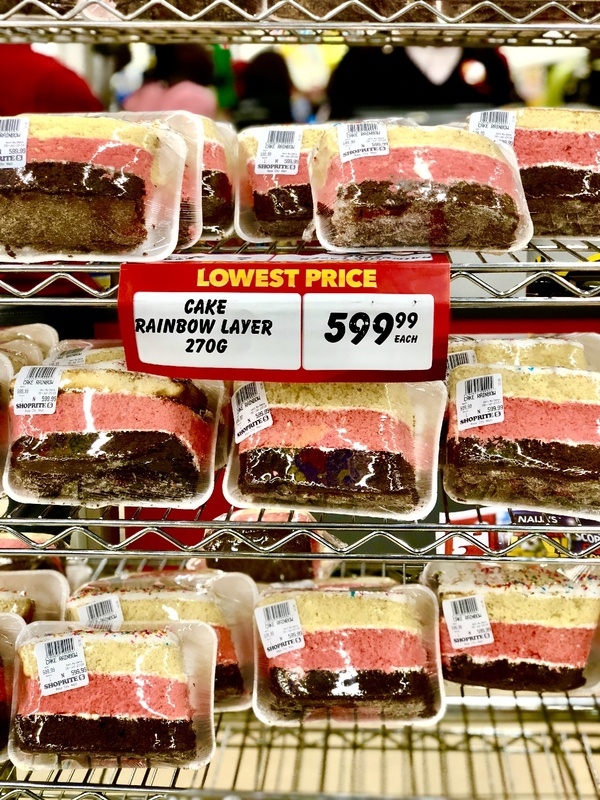 The few ants perched atop of the cake were the “politicians,” while crowd of ants down below were “the people,” all fighting over a small piece, or the “crumbs,” that the greedy politicians had left them. What a message! Photos of the artwork alone were not allowed, but selfies and photos of yourself, with the art in the back, were. When we arrived, the power was out and it was completely dark…thankfully the lights came on just a few minutes later. This really was a fantastic gallery, and if I had room at my house, I would have bought at least one of these. 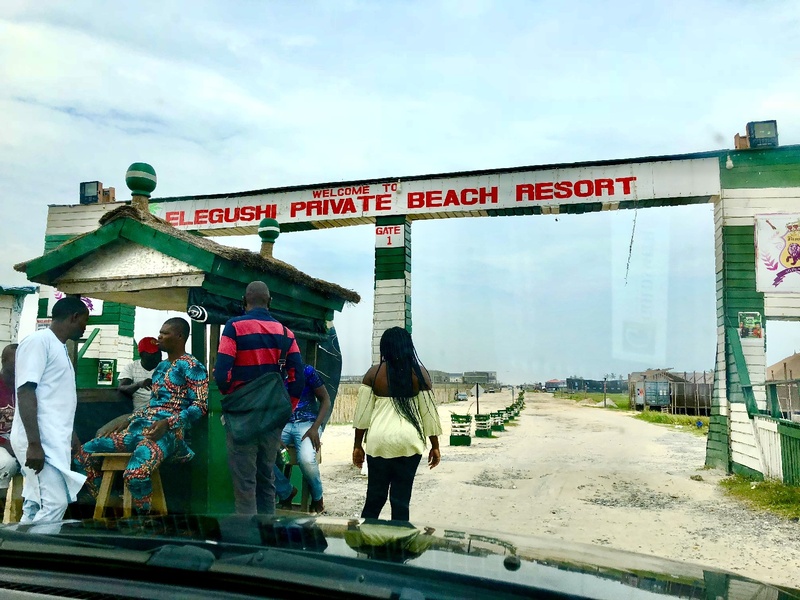 The streets were still flooded from last night’s rain as we headed over to the Elegushi Private Beach Resort. We paid a fee and drove through the gate onto a sandy road before parking. The line of big, open air bars and clubs reminded me of some of the scenes in the smaller beach towns of Mexico, like Puerto Peñasco–where tourists fill these huge open air beach-front businesses and guzzle beer and take tequila shots from waiters with whistles while loud music pounds through giant speakers. But it was a cloudy Monday, midday, so there weren’t many people about, no music, and no whistles. Phillip walked us through a club and onto the beachfront, while explaining that the place fills up at night. A man on a horse galloped over to us and offered to take my picture on top of the steed. We walked on, passing these little metal, hand-powered Ferris wheel-type contractions—which for the life of me I just couldn’t imagine being used by humans, but apparently they were. Now that would have been a great photo op! It was overcast, but I was happy we dodged the rain. 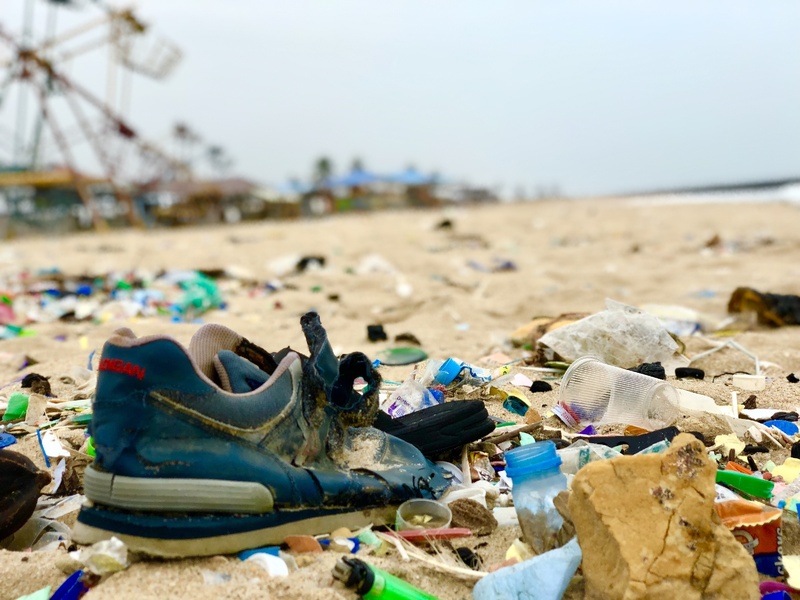 I consider myself a Libertarian (less government interference), but fully support a ban on disposable plastics. It’s the one sad thing I see in every country. This stuff never goes away. We walked a bit, then turned around, heading back through the club and to the car. I was taking a picture of the club’s DJ booth when a young man approached me and introduced himself as an artist named Speranto, as he pointed to the tattoo of his name on the inside of his forearm. He was a nice kid, and wanted me to take a picture of him in front of the DJ booth. I couldn’t figure out what kind of artist Speranto was, but he shook my hand and was super nice. On the way out, we spotted some kids playing soccer who gleefully took selfies with me. Taking a break from the game for a photo. Phillip sensed my excitement at some of the street art and offered to pull over so I could snap some pics. This may have been what I enjoyed the most, mixing in with Lagos street life as rush hour approached. The streets were jammed with cars and pedestrians as I tried my best to keep a low profile and grab some quick photos of the graffiti. 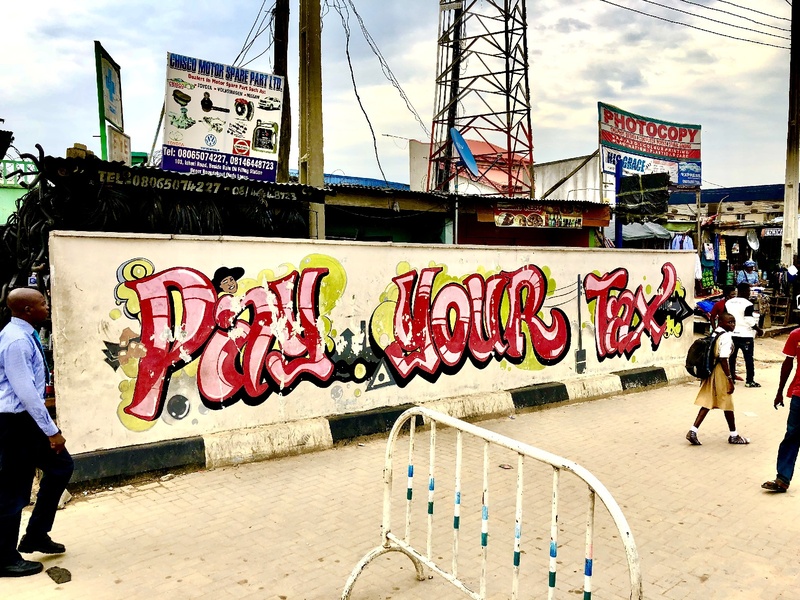 “Pay your tax” was a common theme throughout the city’s walls and signs. I loved the colors and chaos of rush hour in Lagos. 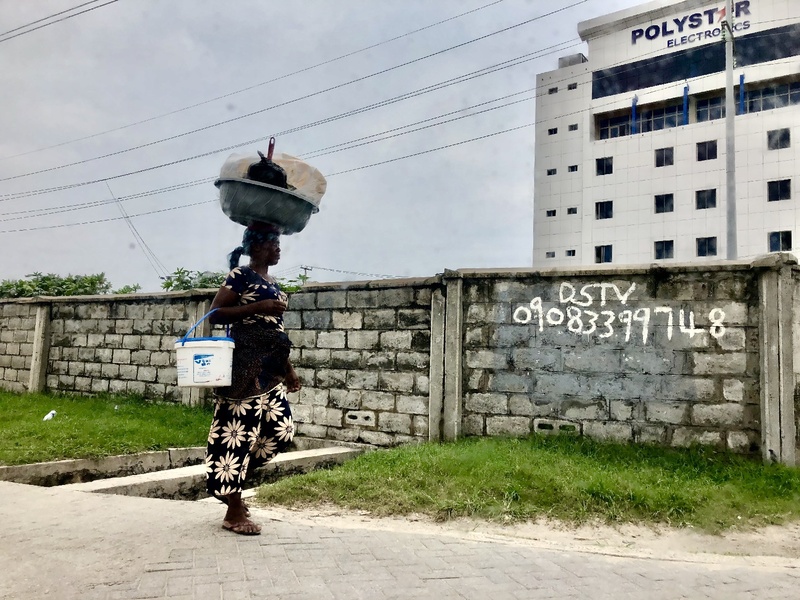 The people in the street are what I think is most colorful about Nigeria, and Lagos is a photographer’s dream; if only had a week to just take walks and photos! 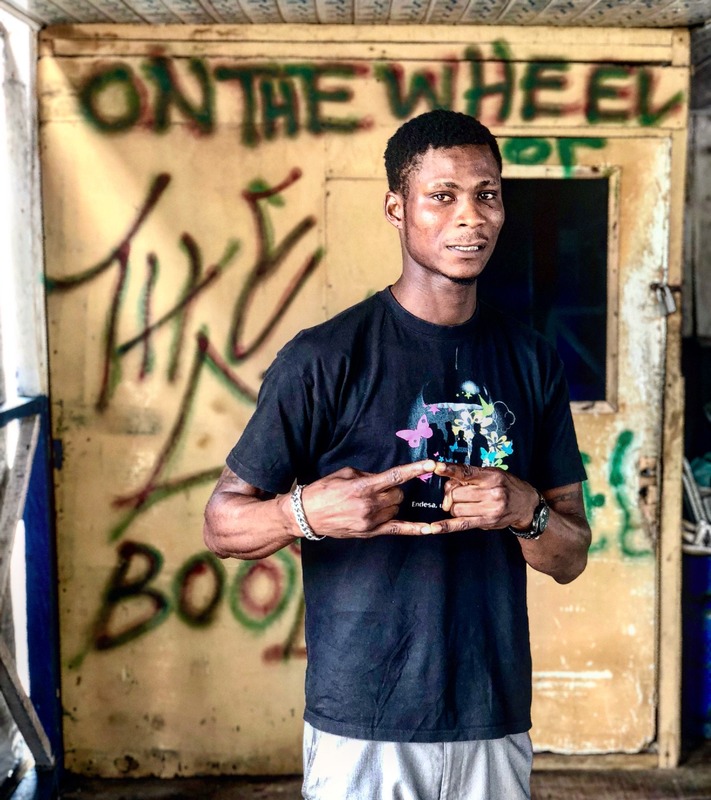 Phillip pulled down a side street to exchange money—this was one of the most interesting parts of my stop in Lagos. Apparently this street was home to a Bureau de Change, a group of unofficial money exchangers—men on foot, with no office—who carried around stacks of currency to exchange on the black market. I’m guessing most of these guys were Muslim, judging from their clothing. Their bright colorful robes and matching caps sparkled in contrast to their almost midnight black skin. I worked up enough gumption to ask one of them if I could take his picture, and he said no. 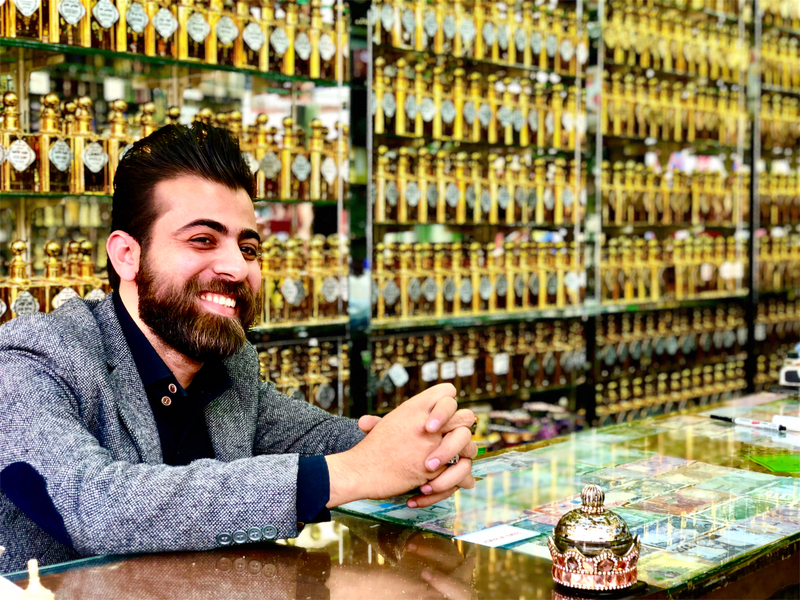 But seconds later asked if he could take my picture, to which I responded with a deal: we could take each other’s. And we did. There were some other really tough looking guys sitting against the wall (one of them definitely looked like “the boss”) that I would’ve loved to photograph, but I didn’t feel it was the right time. I asked Phillip how these guys were carrying around such huge bricks of cash with no problems, and he informed me that they were definitely packing heat under those robes! Selfies with the money exchangers. The next destination was a stop at the Ikeja City Mall, where I was surprised to see Krispy Kreme Doughnuts, among other American franchises. There was a KFC right next to an almost identical-looking establishment called Chicken Republic. I asked Phillip which was better and he answered Chicken Republic. 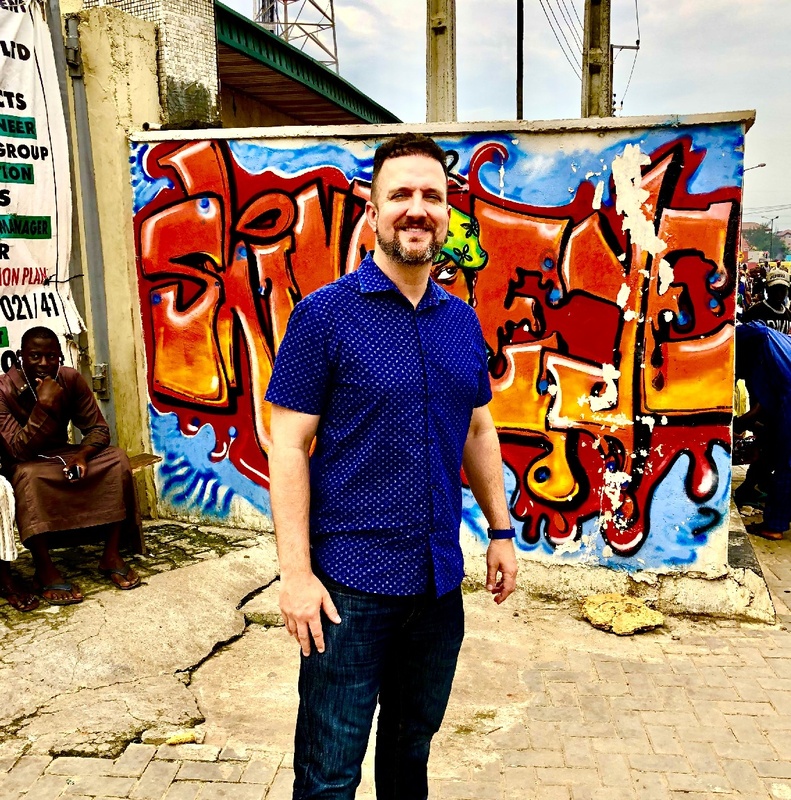 We stopped into Nigeria’s version of Wal-Mart before heading out. I love you like a fat kid loves.. 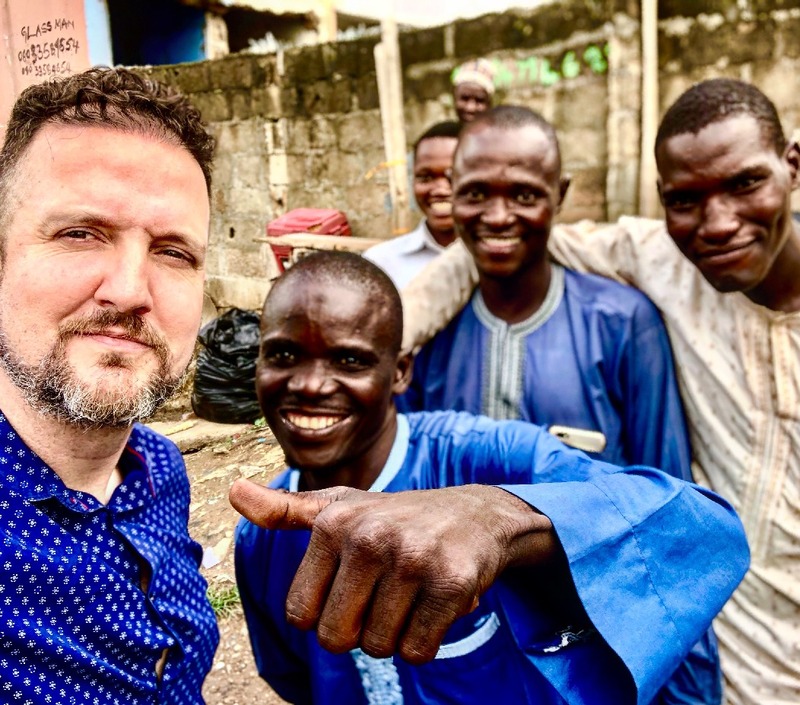 Sadly, my only day in Nigeria was coming to a close as dusk moved in, but our next stop would solidify this short trip as being officially one worthwhile and authentic. On the way to the airport we pull into this little gated compound that turned out to be a locals-only sports bar/lounge. And this was no TGI Fridays. 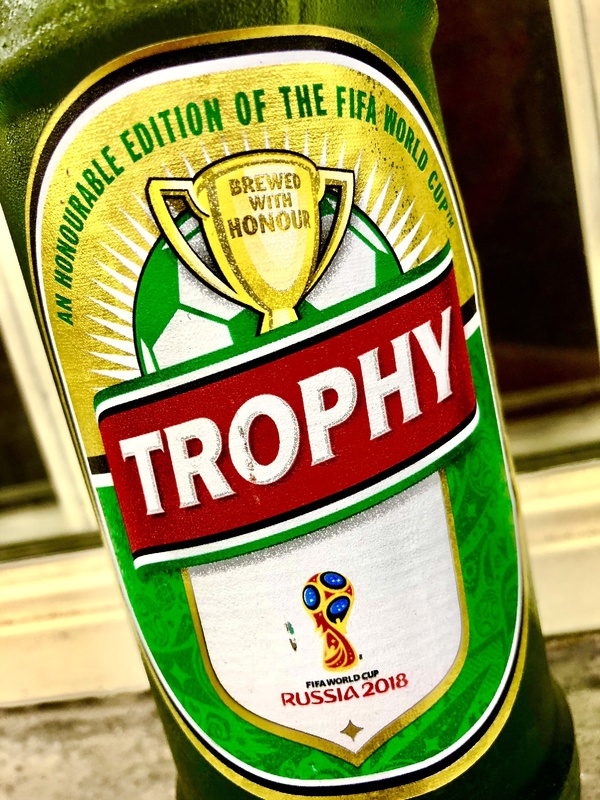 This place was a dark (very dark), little building–so dark inside that you could barely see in front of you–with a bar and a collection of tables all facing a big TV playing the World Cup. 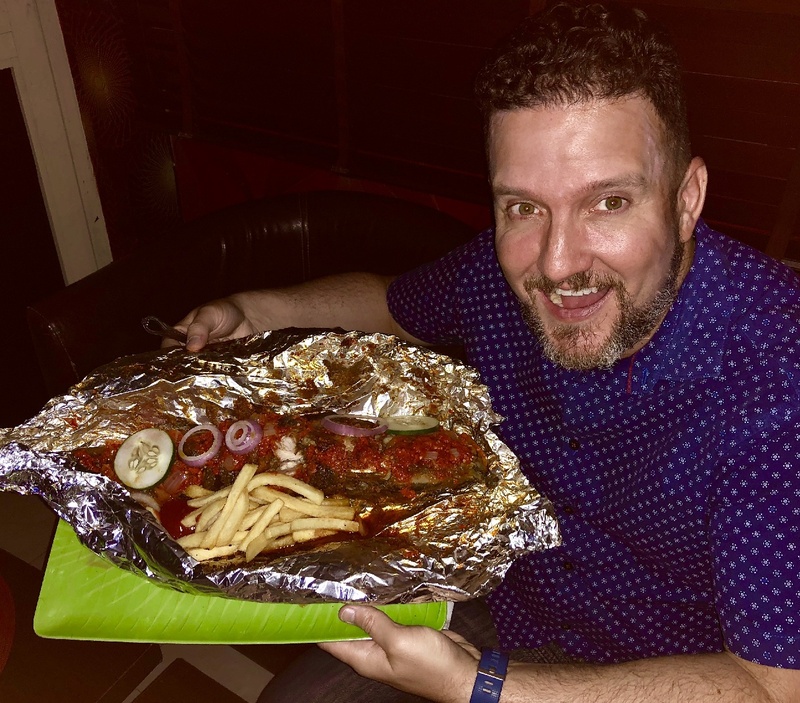 Phillip ordered me this enormous catfish that was served wrapped in foil, steaming hot. He asked if I liked spicy, and said hell yes with all the confidence of a local. 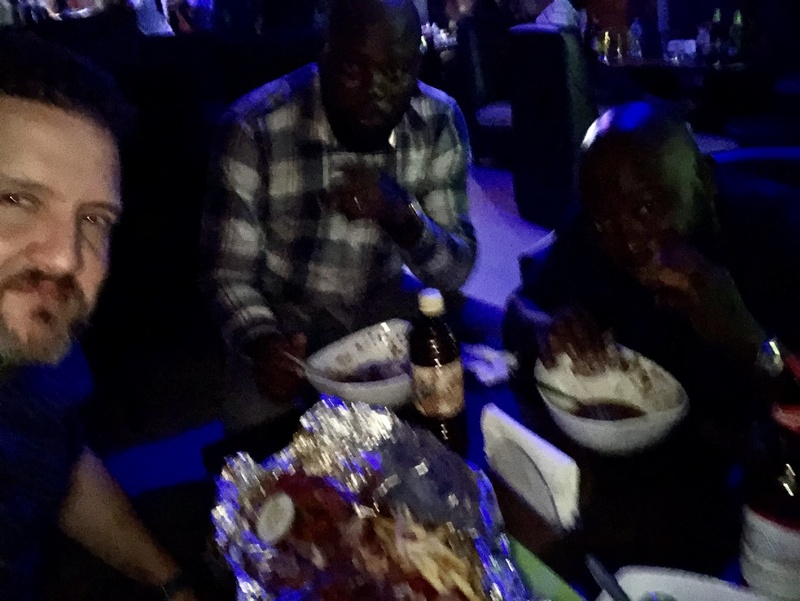 After all, I’ve braved some of the spiciest of spicy foods in some legit joints in Mexico–they don’t call me The Taco Inspector for nothing–I didn’t think “spicy” in Nigeria would even come close…but holy crap…it was FIRE!!! I don’t think I’ve ever eaten anything so spicy in my life, as a I breathed in and out quickly to fan the flames, and chugged down big sips of my Trophy beer to try and quell the stinging of my lips and tongue. This catfish had me dying, with tears running down my face and my sinuses clearer than I ever remember, as I tried to fake that “everything was cool;” but I don’t think I was fooling Phillip and Bumni! Moments before my tongue would catch fire. This tall beer was used to put out the fire in my mouth…lifesaver! I have come to the conclusion that I will never be as cool as my hero and inspiration Anthony Bourdain. I’ll be lucky if I can get to 5% of the cool that was Bourdain. But for a few moments this Monday evening, I felt Bourdain’s spirit inside of me. As I toured a country that most tourists and travelers never will, eating a plate of hot catfish that came from who knows where, in a dark, locals-only bar where I was the only gringo in sight…learning about the country and lives of my hosts Phillip and Bumni…I couldn’t help but feel a little Anthony Bourdain running through my veins. I was bummed I never got to meet him…really bummed. And devastated when I learned of his passing. There are still half a dozen unread Instagram messages sitting in my outbox that I’ve sent him throughout the years. And while he never responded–probably never saw them–I’d like to think he’s somewhere watching down on me when I have these special “Parts Unknown” experiences, and maybe, just maybe, smiling, knowing his legacy lives on through the people like me, inspired by his travel. You’ve read the story…now see the video! This is 100% true. 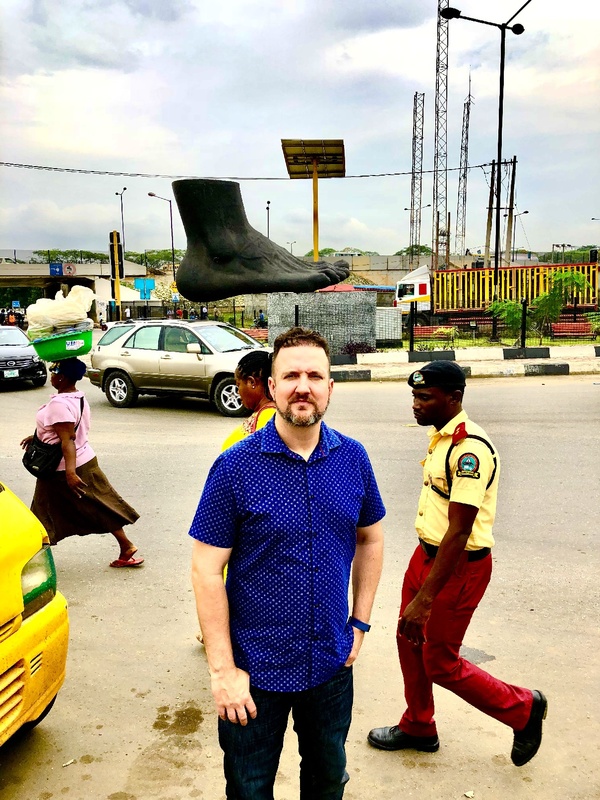 The spicy catfish, the Nike art gallery, graffiti, money changers, and the can do attitude of the tour guides and attorneys shows the true Nigeria with an unbiased mind. Although, there are evil and cunning people in Nigeria, but they are everywhere, so the watchword watch* often pronounced as *wash* on the street means *open your eyes. I.e be smart. Don’t dull. I enjoyed this write up. Great guy. Oh man, that means a lot! Thank you for reading and for the words! Hmmm!!! Interesting write up and like it goes, you never know how cold or warm the tub is until you get in, enjoyed your write up on Lagos Nigeria, and also your time here related story and write up too, I respect your daring courage to come 8n the 1st place and hope your experience will help enlighten many others, that it’s not a jungle with monkeys and gorilla’s, have a blessed year ahead. Awww, thanks so much man! Yes, my only disappointment was that I had to leave so soon. I will be back! God bless. Please come back and stay with us locals if you don’t mind losing some Hotel creature comforts but gaining some much more. You do know that you haven’t even done 0.05% of Lagosians and missing the Africa Shrine was understandable but unfortunate. Your writing lifted my spirits. Too honest if I may. Thanks for coming. Hope you make it back in a more relaxed and less rushed manner. Apply to some Radio stations for a quick gig. We will love to have you around again… We love crazy and you are our kind of psycho… Love from Lagosians, Nigeria…. Awww Peter, I love this, THANK YOU!!! Thank you so much for coming by and reading my blog. I hope to be back soon! God bless. Nice piece here. I love reading unbiased accounts of people’s experiences. Nigeria is a great place to be and we are an inherently honest and fun loving people. On your next trip you could come in through Abuja, all the fun but a little more sedate. 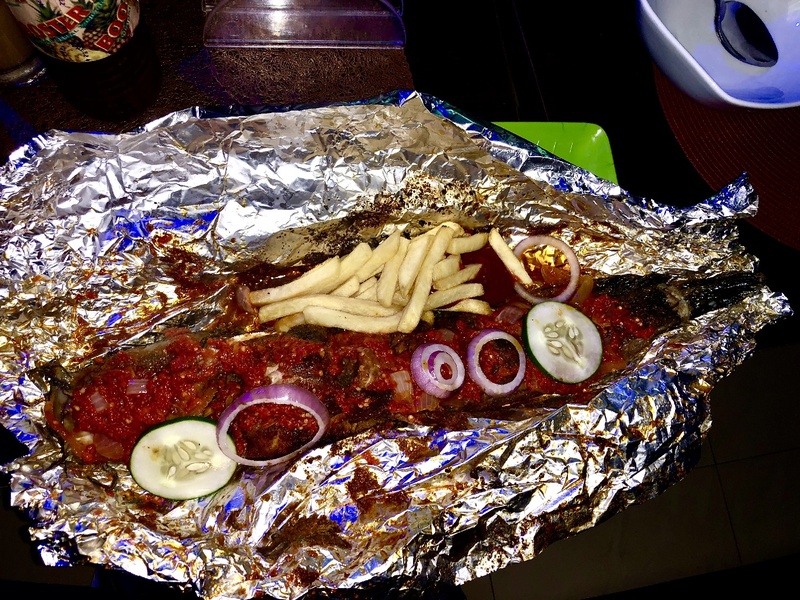 Try the catfish dry roasted over hot coals with a little less pepper, it’s to die for . Great to meet you, Grace! An interesting observation: everyone tells me that the NEXT place I’m going is too dangerous. Then when I finally get to THAT place, the people there tell me that the NEXT place I am going is too dangerous, haha! When I was in Lagos, they said, “Don’t go to Abuja!” Haha…but I would like to visit soon! Thanks for the kind words Grace! Hug. I really had a nice time reading your experience. Felt I was with you all step of the way. I would also love to travel round the world, I have no faintiest idea how to begin. Any heads up? Come back to Nigeria but this time with the mindset a more organized trip. Enjoy the rest of your day. Thank you! As far as travel…start small. Visit neighboring countries by bus (affordable) and set short and long term goals! But you ain’t seen nothing. Lagos is Africa’s fun capital. Maybe you will inspire a hit like the track ‘Lagos jump’ from way back when you make the real visit. Send me some recommendations please! 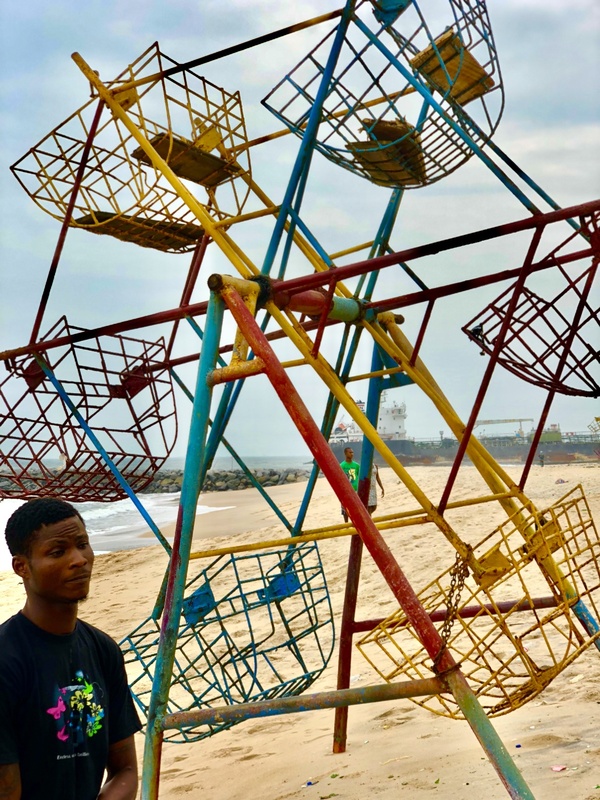 I couldnt drop my phone while reading your Lagos experience, it was such a nice unbiased piece from the mouth of a first time visitor. My hobby is travelling too and i would tour the world too one day just like you. Looking forward reading your tour memoirs one day. Your comment made my day, thank you! I hope you’ll explore some of the other countries on my site. Thanks again! 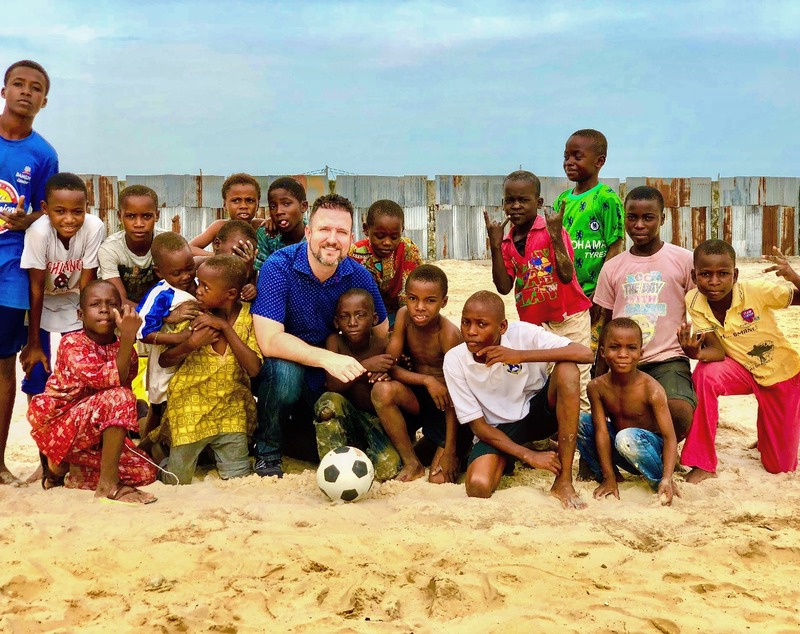 I had a friend who was also skeptical about visiting Nigeria , based on the negative reporting by foreign media about the situation up here, I invited him and he spent a week here, and I can tell you his perception about Nigeria changed. He has also visited 4 more times till date. There is corruption like we also find in other developing countries(in which the present government is really tackling head on), but there are much more to her people,culture. Thank you for your sincere article and wish you could come around some other time, as 20hrs can’t show you what this great country has to offer, It can only give you an insight. Thank you so much! I hope to be back soon! Great write up. You ain’t see nothing yet, when next you come try to visit Ibadan the political capital of the south west Nigeria there are much fun to experience there.To know about the city of Ibadan the largest city in west Africa you can check with Fresh Fm 105.9, a radio station own by popular musician Yinka Ayefele, you can reach out to the station on the following +2348032321059, +2348077771059. Thanks for the good comment about my country. We love you like kilode. Ahhh, thank you so much!!! Me too! I hope you’ll take some time and browse around this website! There’s lots more! Nice write up. You’re the man!!! Randall, we are extremely delighted to have been able to assist. And thank you very much for the flattering statements and referrals. Ours is a common sense and creative approach to solving clients problems. Could have cost you more than $100 to transfer that $300, didn’t make sense. Thanks for making out the time to come visit us. So happy it all worked out, thanks to you! Great write up! So true and vivid! And the steaming hot spicy catfish? Just irresistible! You’ll be crying but can seem to stop yourself from eating more and more! Thank you so much! My lips are still burning!!! LOL!!! I could feel your tears as that photo was taken as you “enjoyed” your spicy catfish. I guessed that you were shocked that the immigration officers didn’t ask you for a penny. That should tell you, unfortunately, Nigeria has a much more negative image than positive. And that restaurant – so dark! I don’t think I would ever be comfortable in that place, but maybe it was because of the TV screen. BTW, that name is not “Bumni” but “Bunmi” (meaning a gift to me). 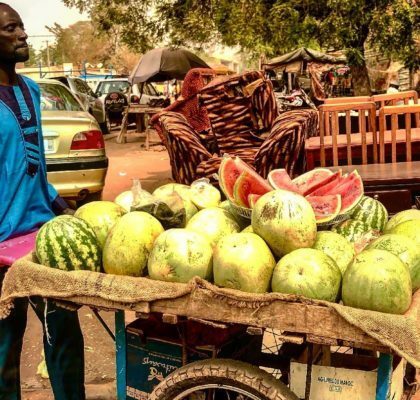 Bumni has no meaning and most Southern Nigeria names do have a meaning. Overall, I could that you had a good trip to “Naija” (I’d be surprised if you never heard that slang). You visited places I never knew existed (growing up in Naija I was never a city boy), but I guess it was because you had a reliable and trustful guide. To enjoy a visit to Naija, you need to visit some important country sides, at least one in the North, South-East and South-West. They have a very rich cultural diversity. Someone invited you to link up with Yinka Ayefele, that would really help your next trip as he’s wealthy and has enough contacts to assist with your security in properly touring the country. Otherwise, link up with the guy called Daddy Freeze at CoolFM. You should ask Phillip to ship you some hot catfish during the Winter weather! Sorry for my long comment it was because I thoroughly enjoyed your blog – It is almost making lazy and not doing my normal work as I have a couple of unplanned hours reading your sincere write-ups – your England visit was so short that you even missed Buckingham Palace – if you haven’t visited that place you’ve not visited England (yes that’s where I live). Appreciate all the insight and tips for my return! All the best! THANKS FOR YOUR WRITE UP. I AM NOT SURE WHAT TO DO. I AM GOING TO LAGOS IN 7 DAYS AND I HAVE NO VISA ALSO. I DID ALL PAPERWORK LIKE YOU AND GOT TOLD I HAD TO GO TO LA OR WASHINGTON TO DO FINGERPRINTING FOR THEIR NEW SYSTEM FOR VISA. SO THEN I SAW TRANSIT VISA AND THAT IS WHAT I AM HOPING FOR. I DON’T HAVE ANY ONLINE PAPER TRAIL THOUGH OTHER THAN MY ORIGINAL PAPERWORK. MY VISA PAYMENT WAS NEVER CASHED IN DC. THEY JUST SENT IT ALL BACK TO ME. ANY IDEAS FOR ME. 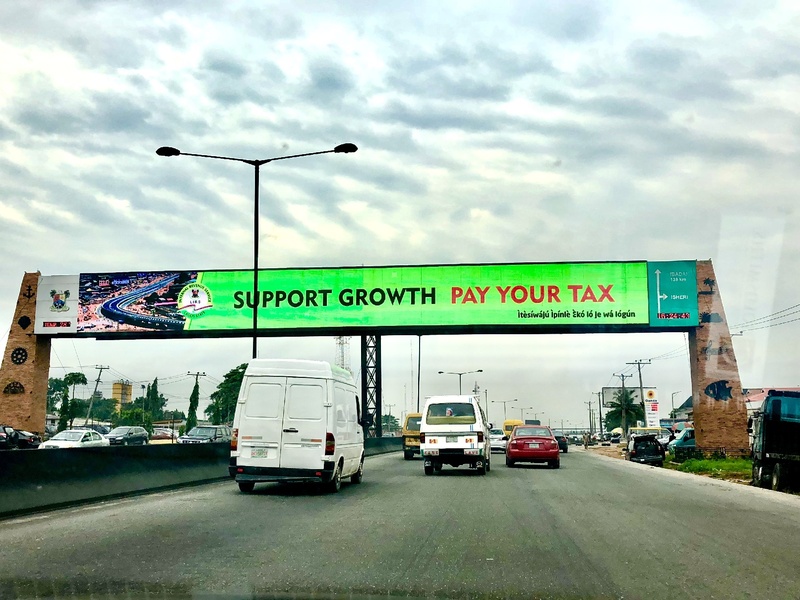 SHOULD I BE CONCERNED ABOUT PAYING IN LAGOS. HOW MUCH IS THE TRANSIT 48HR VISA? Oh wow, that’s tough, I’m sorry. I didn’t get a transit visa, so I’m not sure. Best to call the embassy or contact the attorney I used for help. They make it tough. Thank you so much!!! Wish I’d had more time…I will return! I have read and re-read and RE-READ your blog about the process for a visa! IM STILL SO CONFUSED. Im headed to Nigeria at the end of March, but I will be leaving the states at the end of this month (feb 2019). I guess I just don’t really know what documents for sure that I need to enter the country… and what websites to visit to pay for the documents. And this letter that I need? shhhhhh! Well, like me, you may not have enough time to apply for and receive a standard visa from the Nigerian Consulate in NYC. You may be able to get it done if you apply now…like literally, send your stuff in tomorrow. I recommend working with a visa service like Travisa. Their website will give you instructions. But check processing times…you’re cutting it close. Of course, you can try what I did–and that’s a visa on arrival, but you’ll need to contact Goldsmith Attorneys or anyone else in Lagos who can get you that special letter for the visa on arrival. Good luck my friend!